Cork is a very popular DIY material today, due to the fact that it is very versatile and easy to work with. Probably you have already come across with tons of cork craft ideas on the web that are using wine corks for decoration. 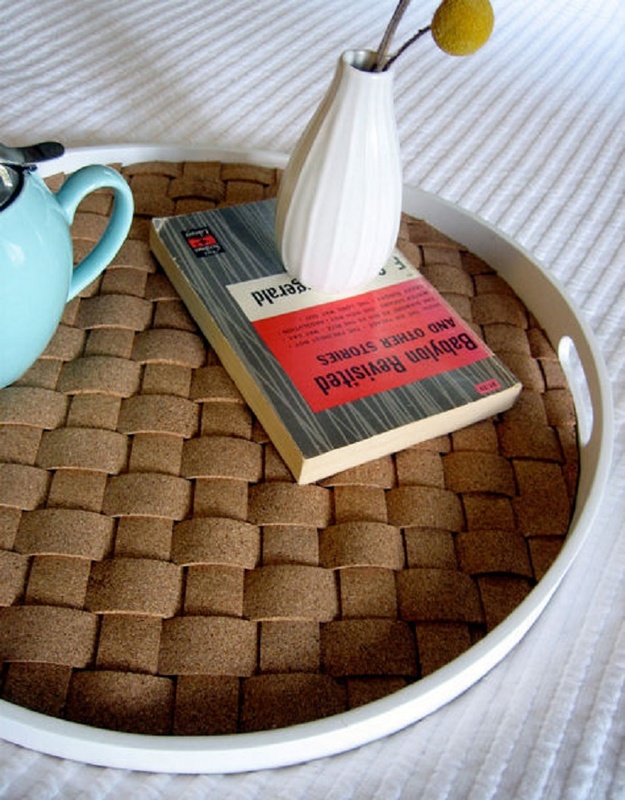 In this article we will show you ten beautiful crafts you can do with a sheet of cork board. There are many ways to include cork in your home decor. It gives a warmer and more natural atmosphere to any interior. Check out these awesome DIY cork fabric ideas and and start your creative journey. Instead of buying mousepads you can construct your very own fabric covered one! Here is what you will need: a small piece of fabric, some fusible webbing and adhesive cork. 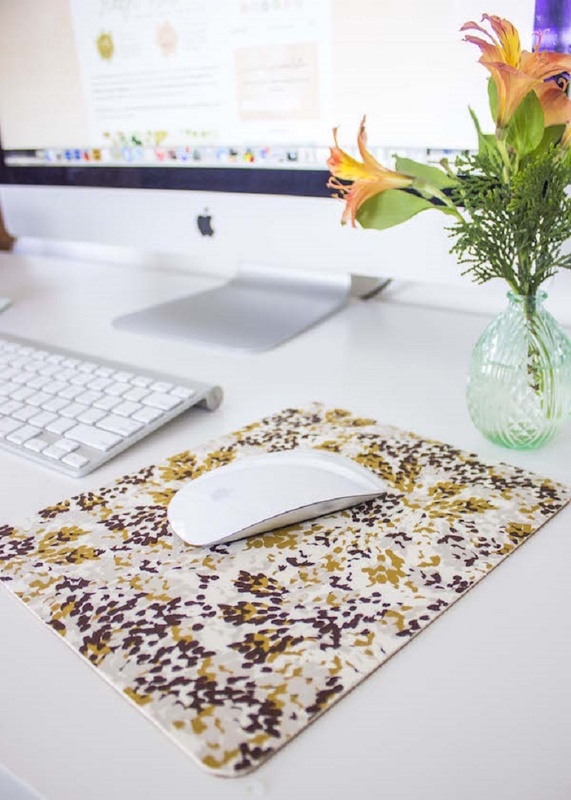 Follow the step-by-step guide and in about 15 minutes you will have a beautiful fabric covered mouse pad. It is a great idea for last-minute gift too! 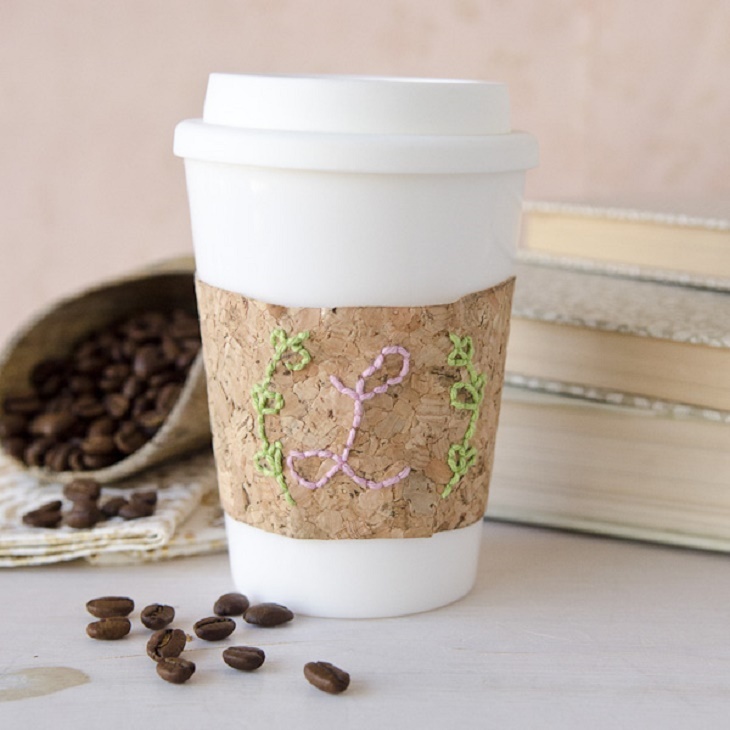 The DIY Cork Cup Cozy is a perfect gift for your coffee drinker friends and family members, who are obsessed with being eco-friendly. We can be a little greener and save some trees by paying attention to details, such as the cup cozies ending up in the garbage on a daily basis. This project can also be personalized, monogrammed and customized as well. By including cork in your home decor you can create a warmer and more natural atmosphere in your interior. 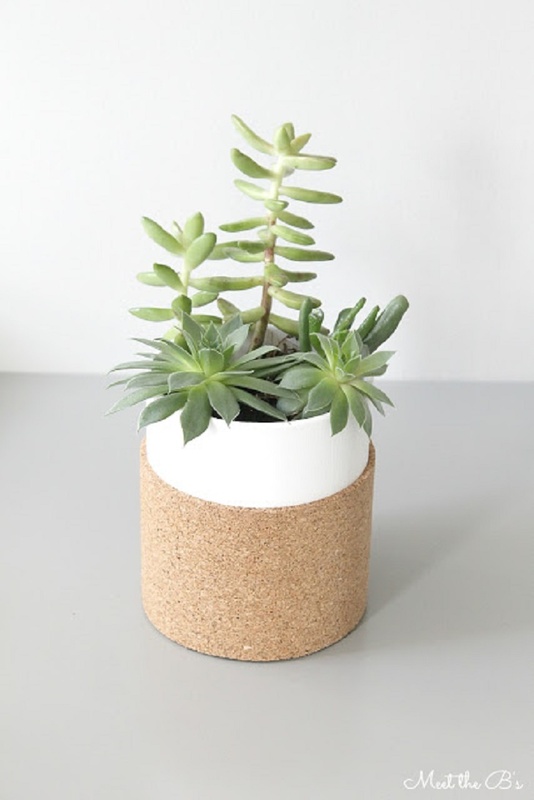 You can start with this simple cork wrapped succulent planter! It only requires a glass jar, some white acrylic paint, super glue and a roll of cork! 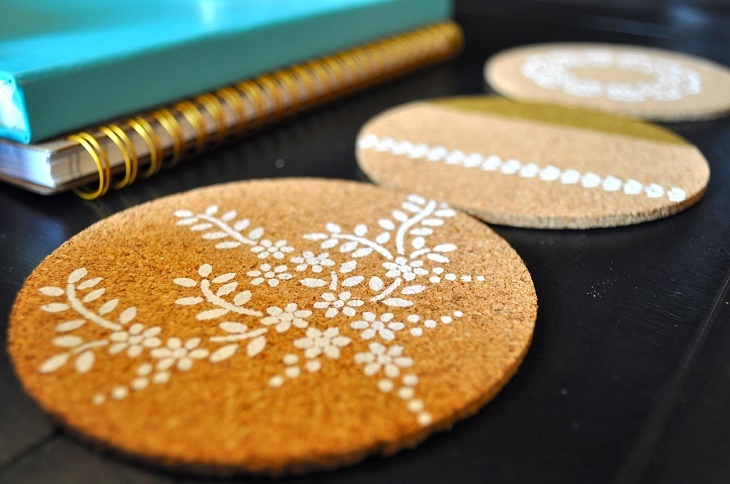 These DIY cork coasters are incredibly easy and a fun to make. All you need is some creativity and a few supplies such as acrylic paint, cork roll, adhesive stencils, painter’s tape and sponge brushes. Create your own design with the help of some different stencils and painter’s tape! 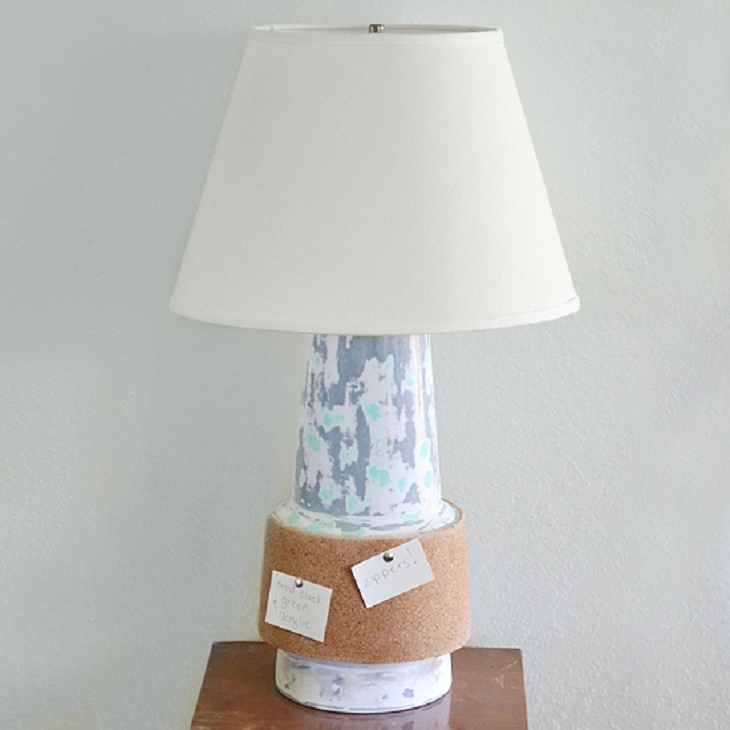 If you have an old lamp that needs a little upgrade or a complete makeover, this is the project for you! You can sand away the original color or cover some parts with rope or even spray paint it before applying the cork parts. Follow the detailed tutorial to see how to do it. 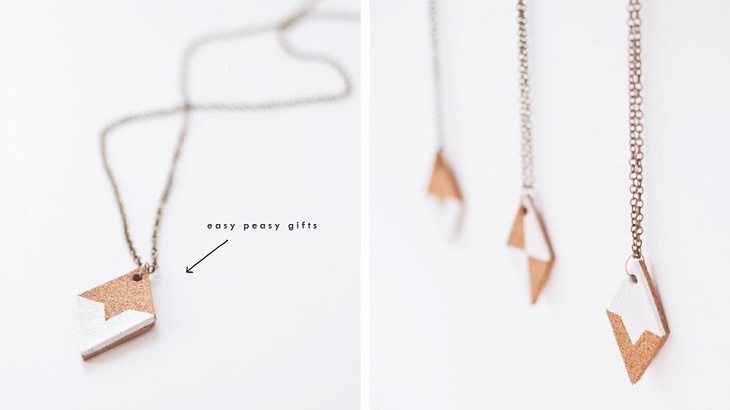 Surprise yourself with this DIY diamond cork necklace or if it doesn’t fit your wardrobe you can also give it away as a gift. It is so simple it will go with anything, especially with a plain black turtle neck top! It’s cheap and easy to cut, so don’t hesitate, gather the supplies and get creative! 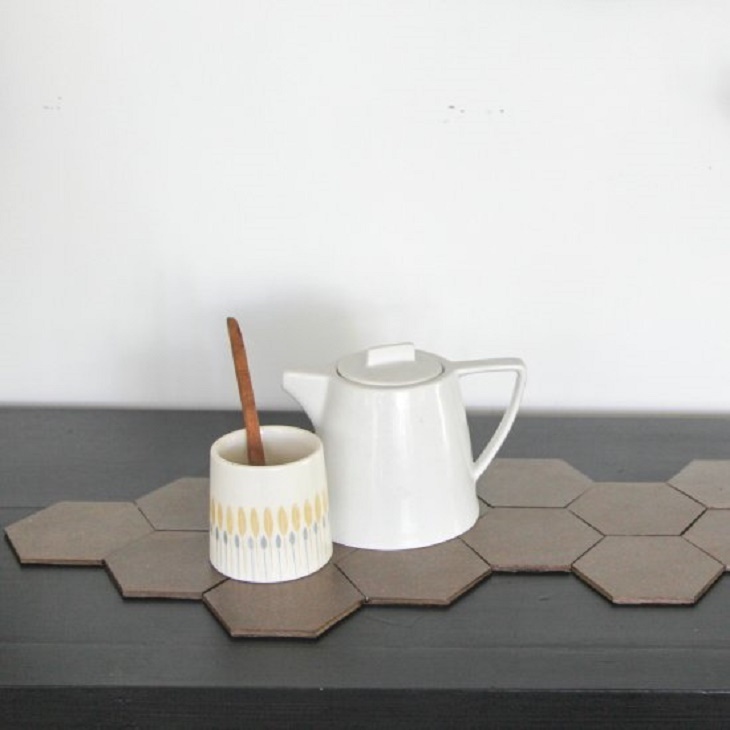 You can create this DIY Upcycled Cork Hexagon Table Runner with metallic acrylic paint and a roll of cork fabric. Geometric shapes look great in any modern apartment. Why not experiment with mixed colors or even various geometric shapes? If you love traveling or looking for a DIY gift idea for a travel-junkie friend, a world map is essential to have or to give. This cork-board map will be your favorite pieces of art in your home, there is no doubt about it! 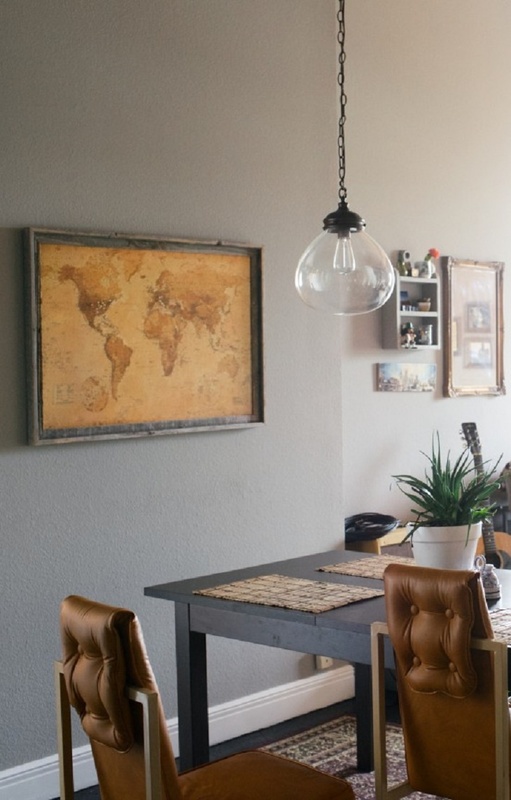 You will need a world map, a nice frame, cork board and Modge Podge. We love all IKEA hacks and this one is no exception! The IKEA Skala tray is very plain and simple accessory, perfect for hacking as it allows you to customize it to fit your own style. With a cork roll and some spray paint you can create a totally new look and this project takes only an hour or so! This is our favorite DIY project featuring cork! There are more and more fashion accessories today made from this natural material. 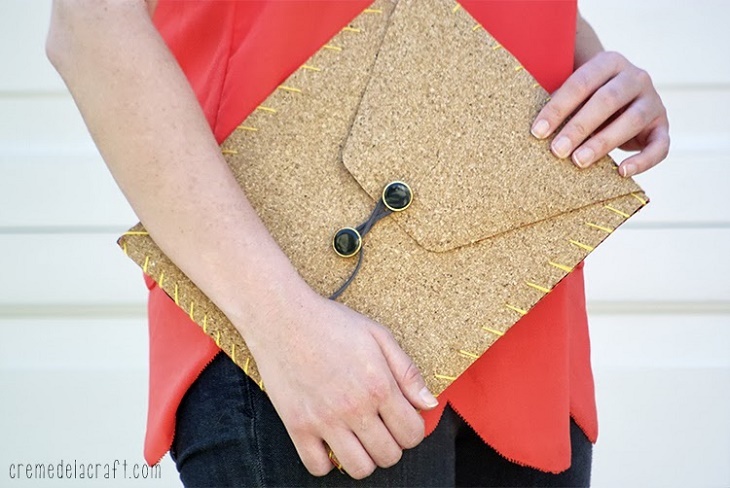 Now here is this natural and cool looking DIY iPad case! You will need self-adhesive cork sheets, an old T-Shirt, a button and yarn. Follow the tutorial or use it as an inspiration and put your own spin on it!